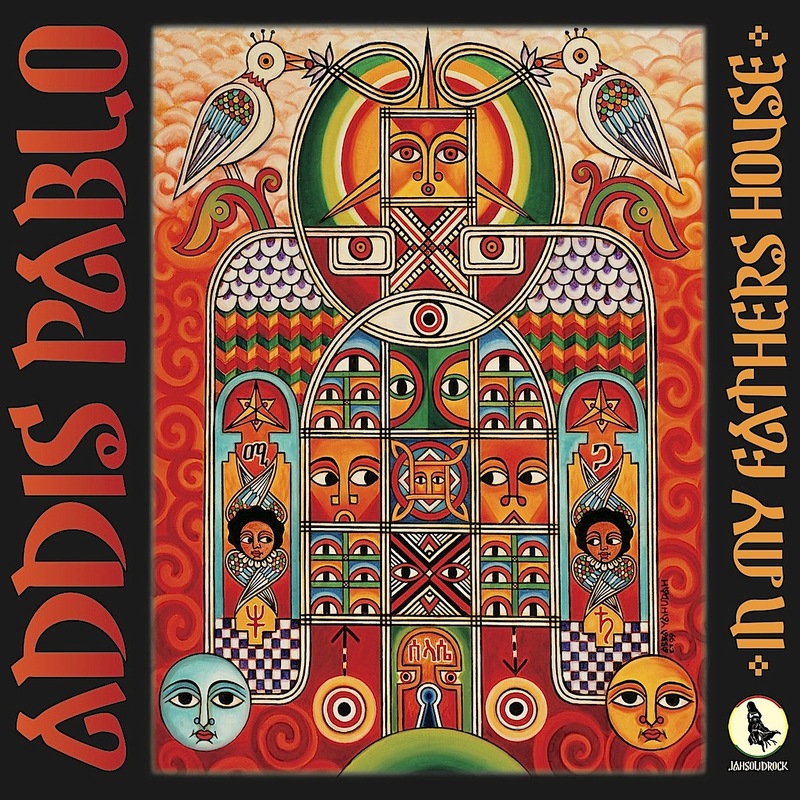 Addis Pablo – son of the late and great melodica player and producer Augustus Pablo – has over the past years taken up a career as a performer and producer following in his father’s footsteps. Addis Pablo was raised by his father in a musical environment on Orange Street in Kingston, receiving the teachings and morals expressed by Augustus Pablo, and continued to be instilled by his mother. Last year he dropped a number of strong cuts, and one of the best was a melodica cut on the Unfair riddim and a version of Selassie Souljahz. In 2013 he also teamed up with Amsterdam based reggae powerhouse Jahsolidrock for his debut album. The Dutch label, known for albums from Apple Gabriel, Brinsley Forde and Chezidek, is likely a great partner for his musical project called In My Father’s House. In the same tradition as Augustus Pablo and his Rockers International label, the Dutch label and Addis Pablo embark on a musical journey where rootsy reggae meets Rastafari mysticism and first class musicianship. The Marc Baronner produced album will be available on February 25 and features artists like Earl Sixteen, Prince Alla, Sylford Walker, Chezidek and Exile the Brave. In the meantime, check this documentary about the project.